OS X comes with a Python installation that I find a bit confusing and misleading. What I present in this post is a guide to remove the default Python from your 64 bits OS X (i.e. Snow Leopard or Lion), install its latest version, and set up a nice environment to work with (e.g. 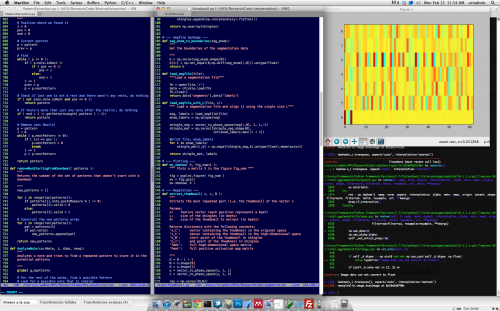 iPython + MacVim). The only requirement for this process is to have the latest version of XCode, that you can get from the App Store. (if you have another versions of Python installed (e.g. 2.6, 2.5), just change 2.7 for your version number when removing the files. However, that is not really that important, just so that you don’t have that much garbage in your computer). Now let’s install the latest release of 2.7.x for OS X. You can see the latest releases here. When writing this post, the latest version is 2.7.2. /Library/Frameworks/Python.framework/Versions/2.7/lib/python2.7/site-packages. It’s kind of important to remember this path, so you may want to add it to your sidebar in Finder or create some soft link. Close your file and restart your bash so that the new environment variables are available. Check that you can now run python from the new terminal. I usually use easy_install to install new modules. You can get it from here (the module is called setuptools). 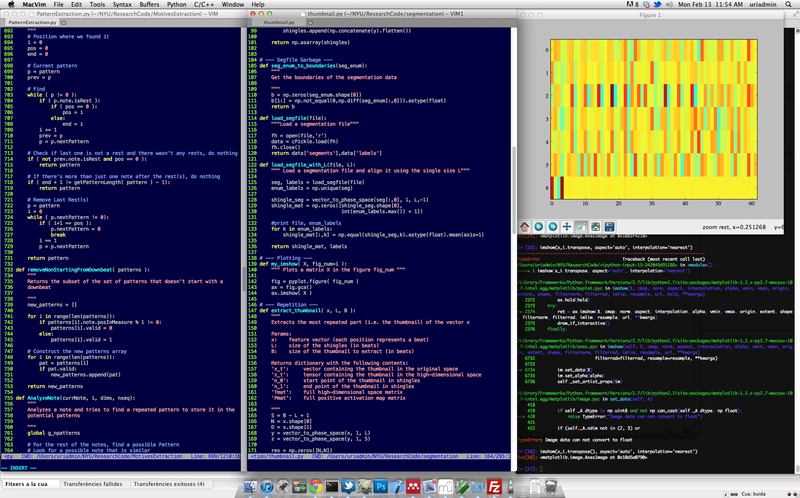 If you’re running Lion, I highly recommend the SciPy SuperPack, which will do all the work for you. This last section is completely biased due to my eternal love to VIM. I know some heartless people who use Emacs, or even Eclipse (I was one of them, and it was a terrible thing!) to code in Python. 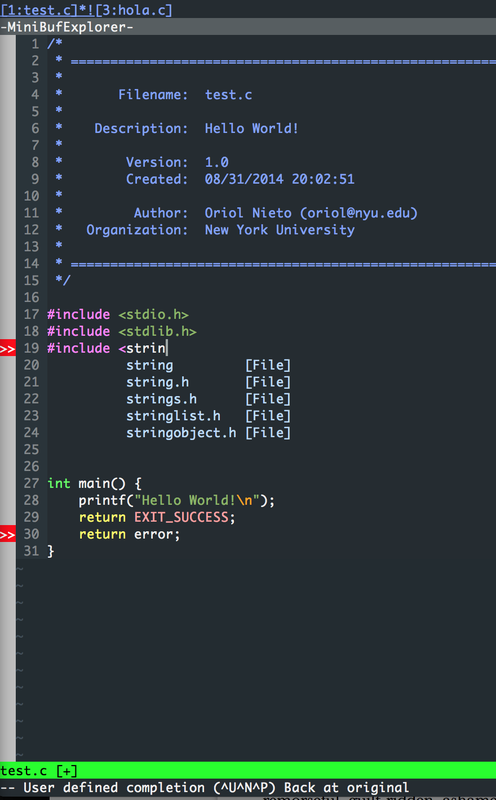 If you’re a VIM lover you should already know about MacVim, but if you don’t you should definitively get it. In any case, you should choose your favorite text editor (in case you want to use VIM -everybody wants to use VIM, but unfortunately some people don’t know that-, here it is a nice python module), and then I highly recommend using iPython instead of the classic Python console. This is especially useful for debugging and plotting. iPython is life changing, really. And finally, for something -not that- completely different: Happy programming!